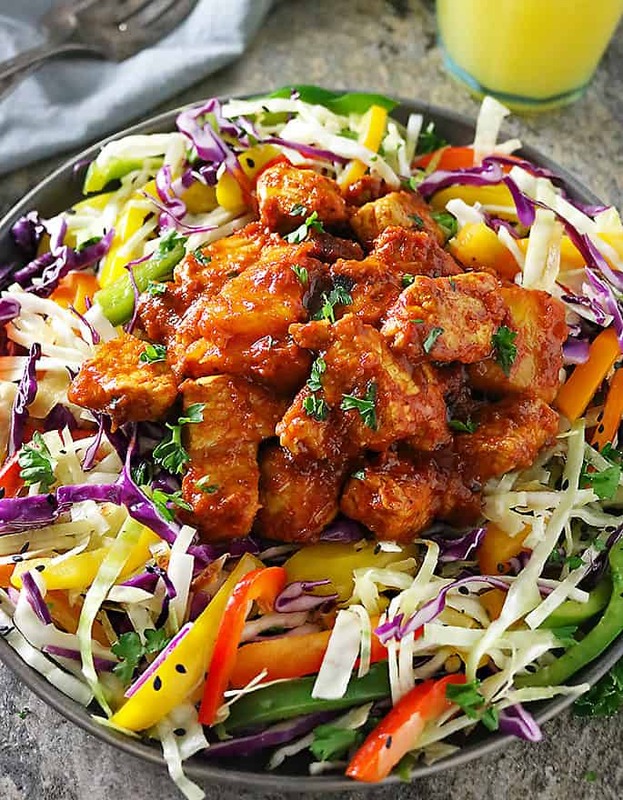 Here you have an easy, delicious and low carb Spicy Pineapple Pork with Cabbage Pepper Salad and extra Spicy Pineapple Sauce on the side for dipping. Summer in this little college town of Athens, GA has been quite different to summers in my old neck of the woods. Here, things really slow down! Way, way down! So, I decided to speed things up in my own life but adding to my workload. Recently, I’ve been taking pictures of food prepared by others. 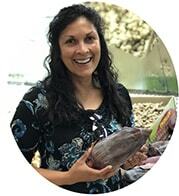 It’s been a lot of fun and learning in the process, and it has kept me so busy!You see, I’ve been a fan of staying busy since my teen years. It might have something to do with my dad always mumbling “an idle mind is a devil’s playground,” so when my career plate isn’t overflowing, I feel a bit restless. But, being busy sometime has its drawbacks. Even though I am a food blogger, I haven’t been acting like one at home. I haven’t been cooking most nights like I used to. In fact, some nights, my daughter has been stepping behind the stove to whip dinner up for both of us, while I edit photos. However, recently, in order to take back dinnertime and make it quicker and easier, over the weekends I have been whipping up a variety of sauces to use with eggs, veggies or meats like the NEW Smithfield All Natural Fresh Pork Guaranteed Tender. Last weekend, I made this Spicy Pineapple Sauce with pineapple juice, maple syrup, tomato paste, serrano pepper, onions, ginger, garlic and a plethora of roasted spices. 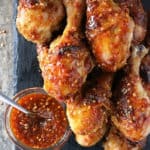 This Spicy Pineapple Sauce had my daughter and I swooning ~ as it turned out way better than I expected it to. One night I brushed this Spicy Pineapple Sauce over some of those Smithfield All Natural Boneless Pork Chops and pan-grilled them whole. Smithfield® is Guaranteed Tender, and even after cooking those Smithfield All Natural Boneless Pork Chops a little longer than recommended to get those pan-grilled marks on them, they were so succulently tender. When it comes to pork chops and bacon, Smithfield® is my number one choice as y’all can tell from these Curried Mango Pork Chops and this Potato Bacon Avocado Salad. Well, the other night we didn’t have too much time to sit down to dinner so I chopped some Smithfield All Natural Boneless Pork Chops into bite sized pieces, tossed them with a half cup of that sauce and pan-roasted them up. I also sautéed up some bell peppers, ginger and onions in some grapeseed oil and tossed them with some red and green cabbage. Less than 30 minutes later, we were sitting down to dinner! When the Smithfield All Natural Fresh Pork was ready, I served it on top of that cabbage and pepper sauté for a delicious low carb meal. As we had leftovers, we used that Spicy Pineapple Pork in some tacos the next night. 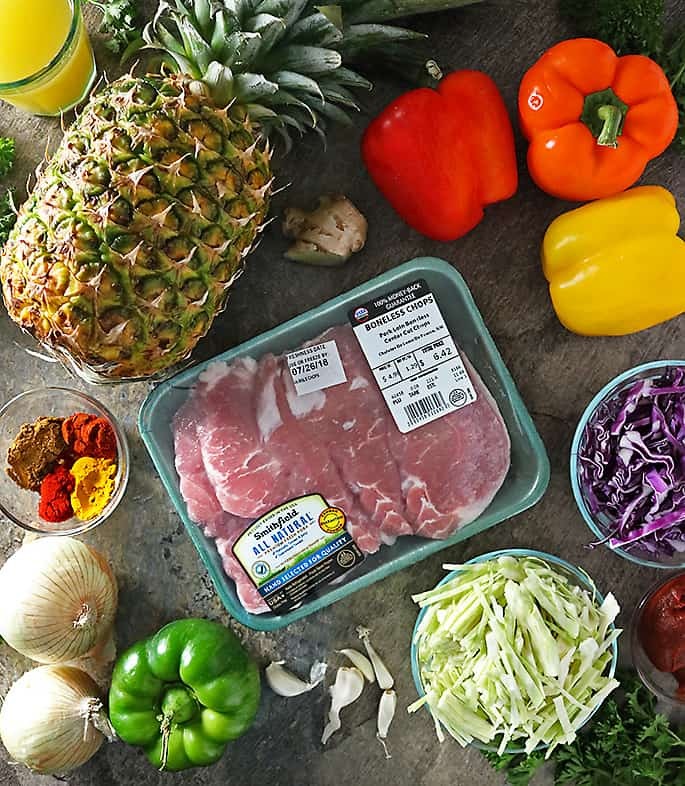 Whether you are whipping up some Easy Pan Seared Sweet and Spicy Pork Chops, or some Pumpkin Curried Pork Chops, Smithfield All Natural Fresh Pork is an easy, everyday option for delicious recipes! Smithfield All Natural Fresh Pork is also great on the grill, in a crockpot, roasted or sautéed. 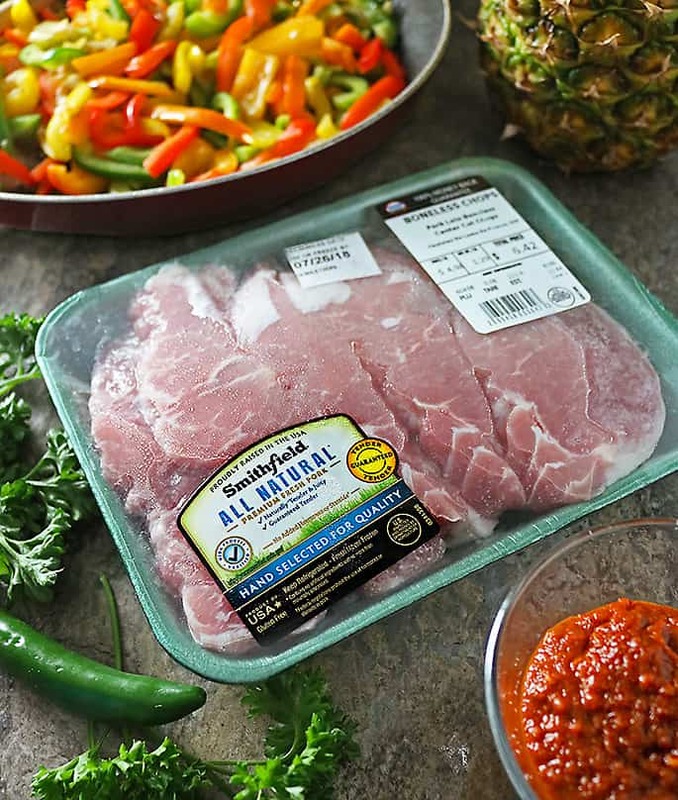 With Smithfield® you have a quick, delicious meal that you can feel good about serving your family any-night-of-the-week because Smithfield All Natural Fresh Pork is naturally tender and juicy without added steroids, hormones, preservatives or artificial ingredients. You can taste the quality and difference. Smithfield® pork is always fresh never frozen. 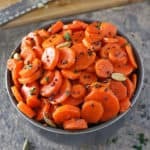 It’s easy to prepare and versatile enough for both weeknight cooking or weekend entertaining. Smithfield® is committed to providing quality All Natural Fresh Pork, proudly raised in the USA, that you can feel good about serving your family and friends. The NEW Smithfield All Natural Fresh Pork Guaranteed Tender is now available at Walmart. And, you can now save on Smithfield All Natural Fresh Pork using this Ibotta offer! 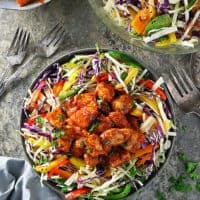 On those busy, jam-packed days, I sure hope you remember this delicious, super quick and low carb Spicy Pineapple Pork with Cabbage Pepper Salad and grab some Smithfield All Natural Fresh Pork from Walmart and whip this up to enjoy with your family or friends. 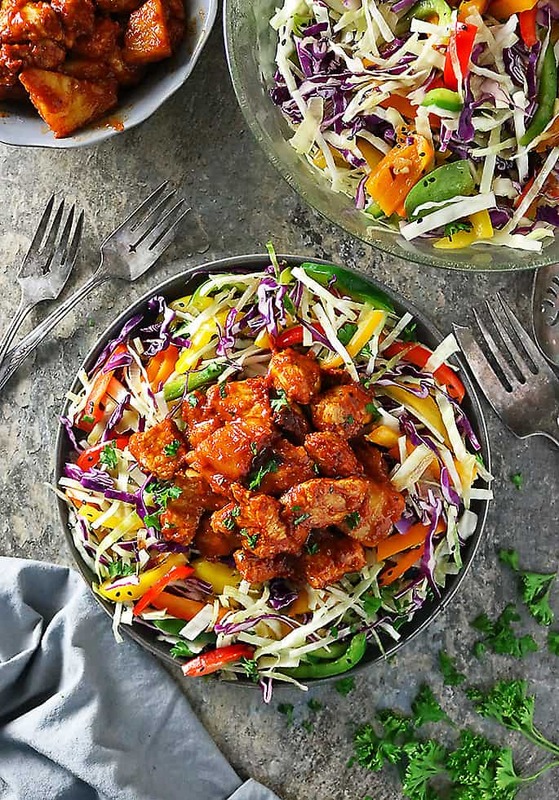 If you happen to fancy this Spicy Pineapple Pork with Cabbage Pepper Salad, let me know what you think by leaving a comment and rating below. If you make this recipe, please post a pic on INSTAGRAM -tagging @savoryspin so I can see! For more recipes and ramblings, like us on FACEBOOK and follow along on PINTEREST! 1 serrano pepper, chopped - make sure you wash your hands well after cutting the serrano pepper! Add the coriander, chili powder, smoked paprika and turmeric to a small fry pan and roast them over medium heat for 2-3 minutes. Make sure to stir the spices and keep an eye on them so they don't burn. In a separate pan, saute the onion in the oil, for about 5 minutes. Then add in the ginger and garlic. 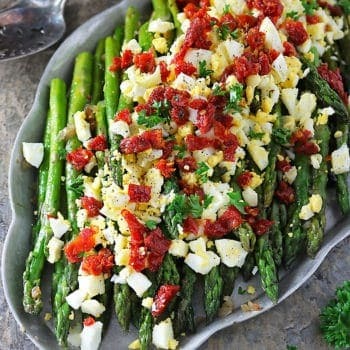 Toss in the roasted spices, pineapple juice, tomato paste, serrano pepper, maple syrup and salt and pepper and mix well. Then, using an immersion blender, blend all the ingredients up. Or, you can spoon mixture into a blender and pulse till ingredients are broken down. 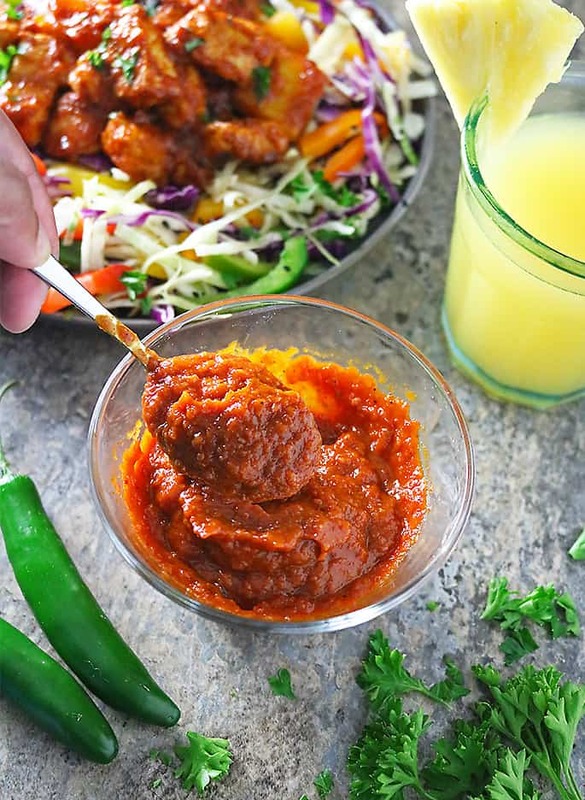 This Spicy Pineapple Sauce can be stored in an airtight container in your fridge for 4-5 days. Toss the bite sized pieces of Smithfield All Natural Boneless Pork Chops with 1/2 cup of the Spicy Pineapple Sauce. Add oil to a pan and toss the Spicy Pineapple Sauce coated Smithfield All Natural Boneless Pork Chops into it, along with the chopped fresh pineapple slices. Saute about 8-10 minutes, stirring often so the pieces of Smithfield All Natural Boneless Pork Chops saute on all sides. 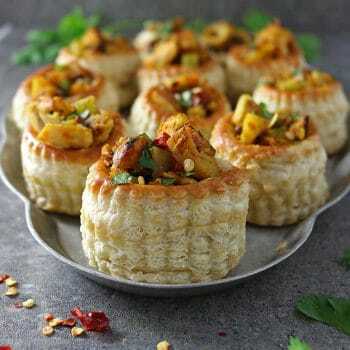 When done, serve with Cabbage Pepper Salad and Spicy Pineapple Sauce on the side. Saute onion in grapeseed oil in a large fry pan for about 5 minutes (you can cook this simultaneously with the Spicy Pineapple Pork). Add the ginger, and the orange, red, green and yellow bell peppers. Season with salt and pepper. 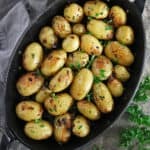 Remove from heat and add to a large bowl. Into this large bowl, also add in the red and green cabbage and toss with the sauteed bell peppers. For me, the sauteed pepper mixture was all the "dressing" I needed for this salad. 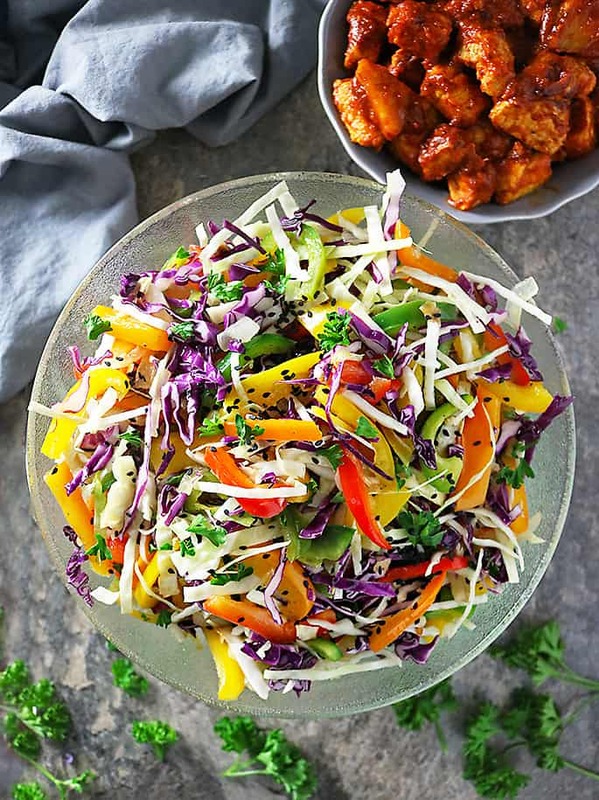 Toss in the black sesame seeds and enjoy this Cabbage Pepper Salad along with the Spicy Pineapple Pork. *When "Salt" is mentioned, I always use Himalayan salt, so please adjust the amounts according to what salt you are using. In my experience, white table salt tends to be a bit more salty that Himalayan salt is. ** Nutrition Facts are estimated based on ingredients and data provided by Very Well Fit. Please use your own calculations for accuracy and to fit your needs. Looking for more recipe ideas and info on Smithfield All Natural Fresh Pork? Then stop by their Social Hub here, and make sure to follow them on Facebook, Youtube, Twitter, Instagram and Pinterest! The colours of the salad are wonderful, always makes it easy to eat when it is pretty food. And the dipping sauce sounds so tasty, perfect for that sweet and tangy side dish. delicious. This is such a perfect dinner for summer….love the sweet with the heat! 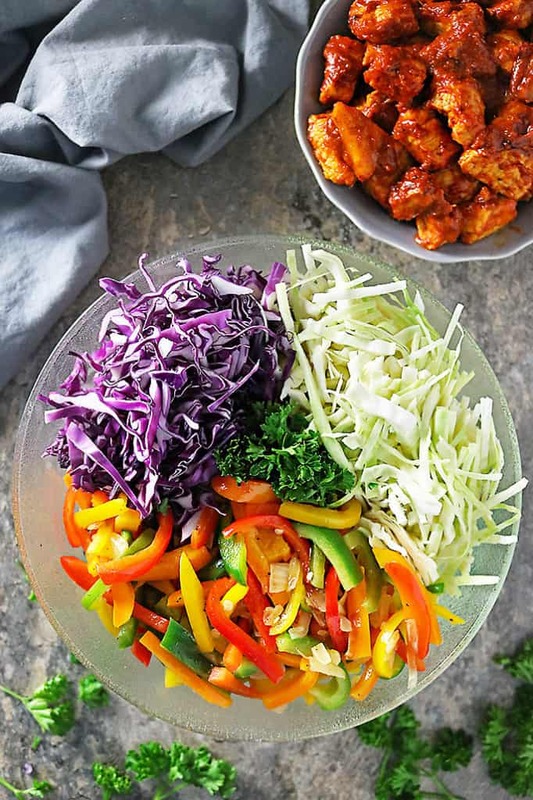 This spicy pork recipe is so colorful! Also love that it has some heat in it. We love spicy food. So very colourful! Both salad and pineapple pork looks mouthwatering. I can’t wait to try that sauce. 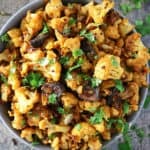 This Spicy Pineapple Pork looks so delicious! It’s definitely perfect for tacos! Yum! Wow, talk about delicious meals! The flavors (and colors!) you’ve got going on in this dish sound amazing, Shashi. And I love that this can totally be a weeknight meal. It doesn’t look like a weeknight meal, but it totally is! 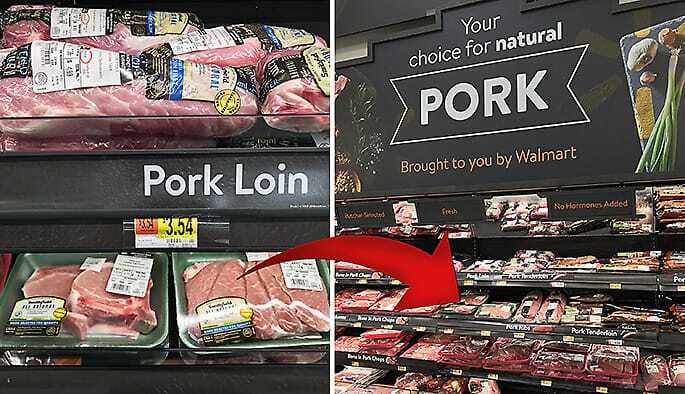 I’ll have to grab some Smithfield pork chops on my next trip to Walmart. Hello, yummy dinner! !